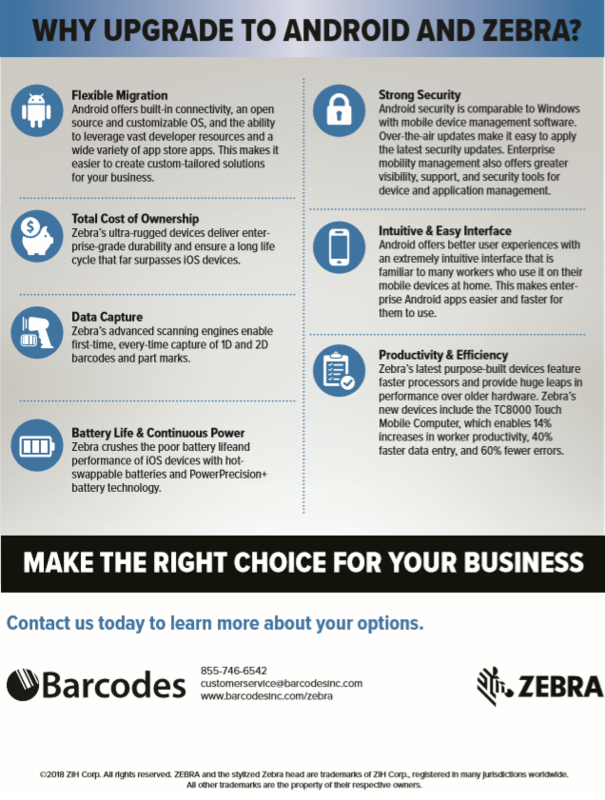 Home › Barcoding News › Make the Right Choice for Your Business and Make the Switch Today! Make the Right Choice for Your Business and Make the Switch Today! 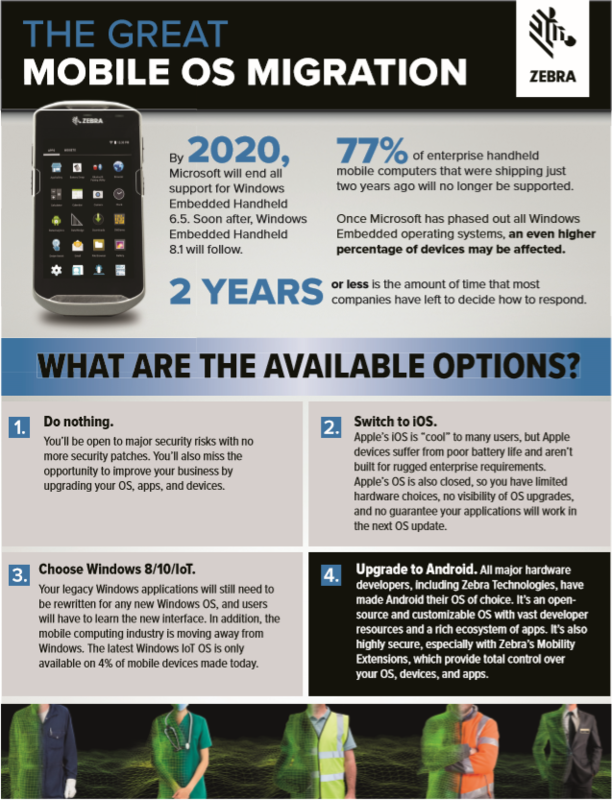 What will you do when Microsoft ends all support for Windows Embedded Handheld 6.5 and 8.1? It is important to take the time and plan out your strategy to ensure a solution before this takes place. Check out your options below and make the right choice for your business! Contact our dedicated account managers and see how we can help you in this process! « LTE Accomplishes More – It’s All in the Stats!